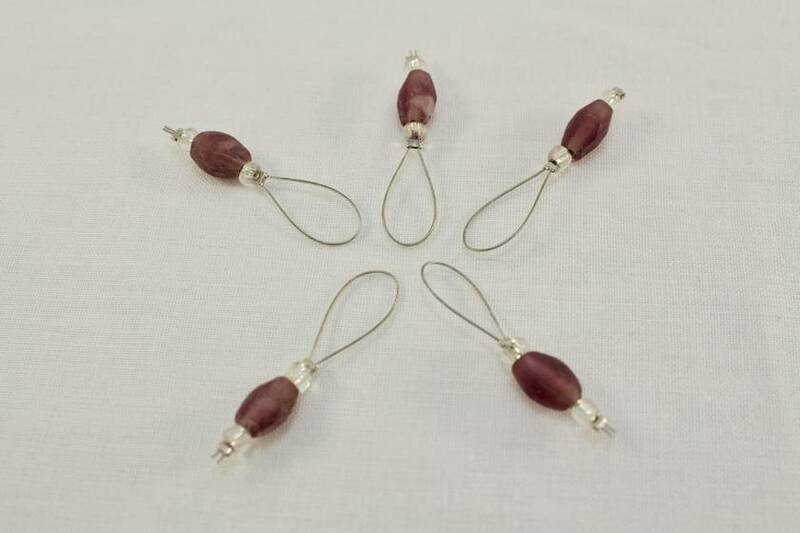 Keep track of important spots in your knitting patterns with this lovely set of 5 frosted purple glass knitting stitch markers. 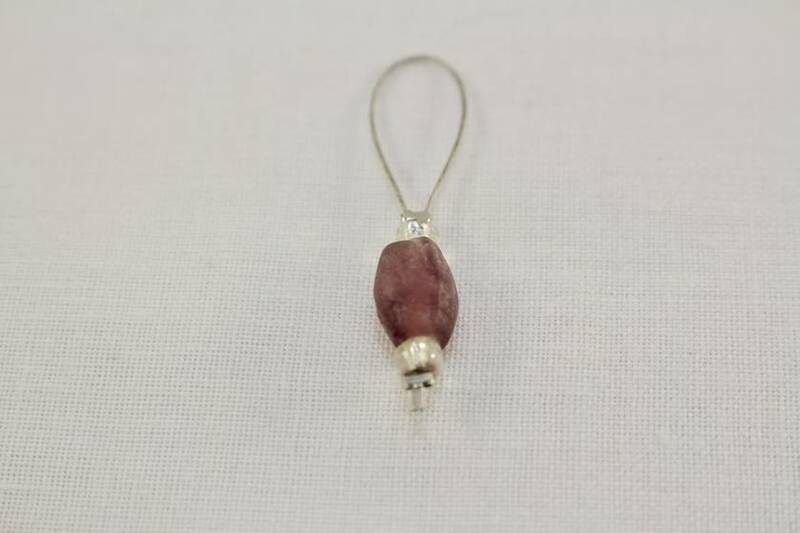 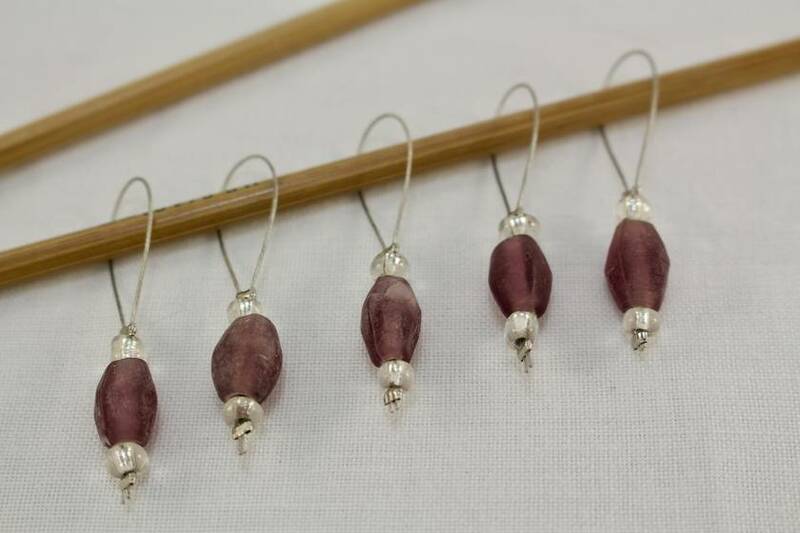 The stitch markers feature beautiful purple and clear glass beads, and are made using snag free tigertail loops which will fit up to a 7 mm knitting needle. 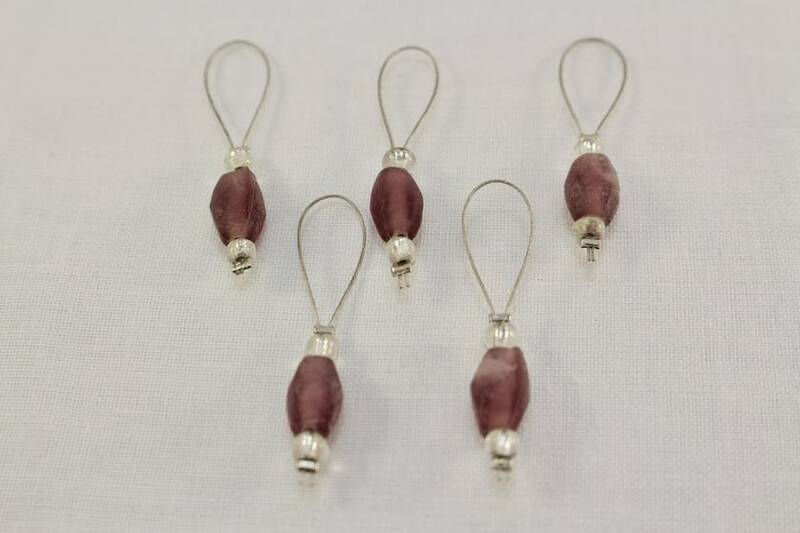 The stitch markers come threaded on a safety pin, so when you’re not using them you’ll know they’re somewhere safe.